Movistar is the major Spanish mobile phone operator owned by Telefónica and operating in Spain and in many Latin American countries. It is the largest carrier in Spain. Telefónica selected Qudini’s solution for its flexibility, cloud-based nature, and ease of integration. It was also chosen due its compatibility with any of the commercially available hardware Telefónica choose to use from their global hardware partners, offering Telefónica the capability to deploy Qudini across a range of hardware solutions in multiple stores and territories. This ensures rapid deployment of the solution, and ease of support for Telefónica’s internal resources. Telefónica also highly valued the fact that Qudini’s cloud-based queue management system could be tailored to their brand and quickly deployed across their first 100 stores in Spain within a period of three months. Telefónica’s Movistar stores across Spain now feature a self-service kiosk at the front of each store. 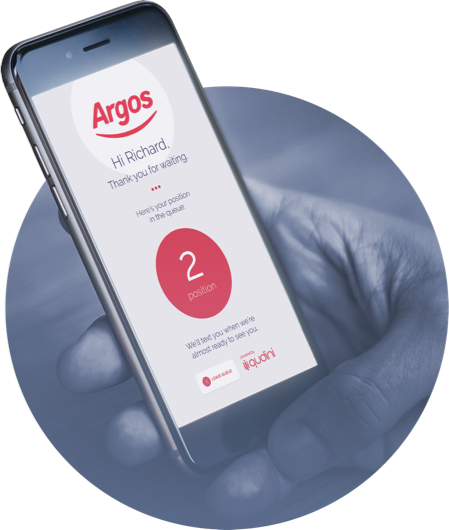 Customers are able to use the kiosks to check-in, receiving a printed ticket displaying their position in the queue and estimated wait time, whilst also being able to keep track of their position in the queue via in-store digital displays. Movistar staff are then able to seamlessly manage and interact with waiting customers.